Her work manages to be simple in design but still full of beautiful detail. It has definitely got me wanting to try stitching in white on black. 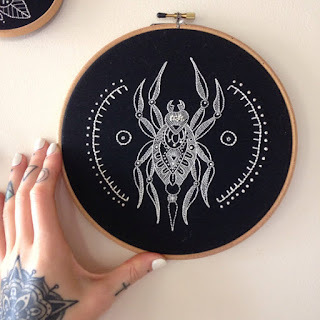 Rachel is multi-skilled, not only is she handy with a needle and thread she is also a tattoo apprentice with some very cool designs for tattoos. 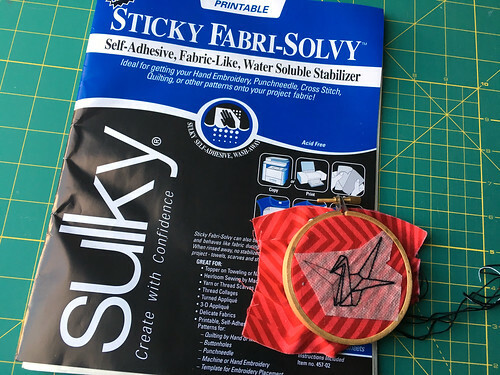 When we first started chatting about the topic of stitchy crushes, my mind immediately went to some of the really classic stitching that first got me into the world of fiber arts. 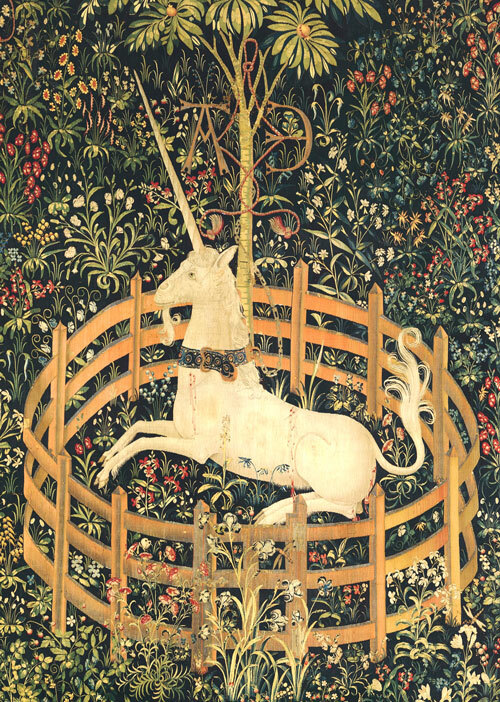 I've always loved Medieval art and unicorns, so when I first found out about the Unicorn Tapestries, I was so intrigued. These are not actually embroideries but are instead created on a loom, where the fabric itself is created from the image rather than having the image stitched into existing fabric. You can read a bit about that process over here. 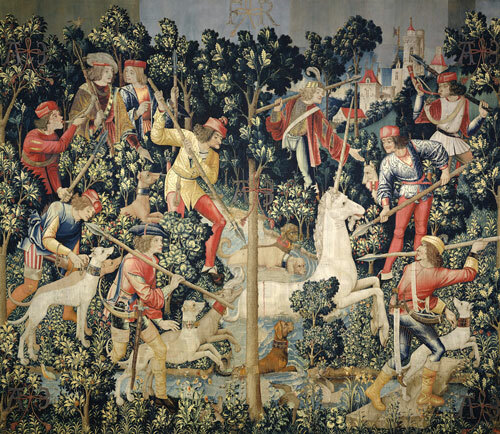 I've never had the chance to see these tapestries, which are located in New York, but I have seen many others created in a similar manner, and they are truly stunning. 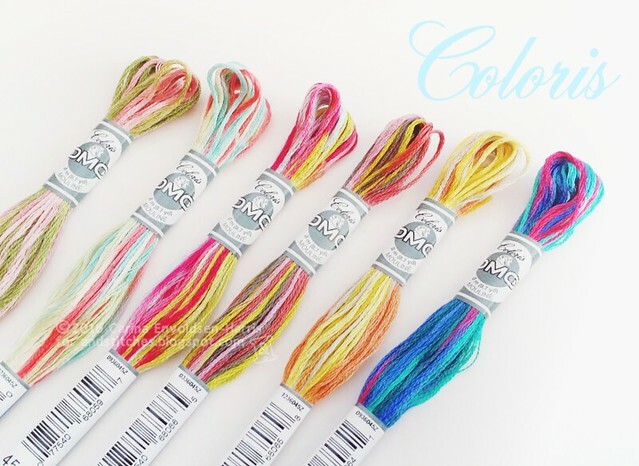 I can only imagine the amount of work that went into spinning the threads, dyeing the fibers (all with natural dyes, of course), planning the image, and weaving it all together. Modern tapestries of this size are made by machine and still take days to weave, so you can get an idea of how many hours went into each of these pieces. From the moment I saw these tapestries, my mind was on a slippery slope into the realm of fiber arts, and I've enjoyed every moment of it. Perhaps someday I'll attempt something this grand. 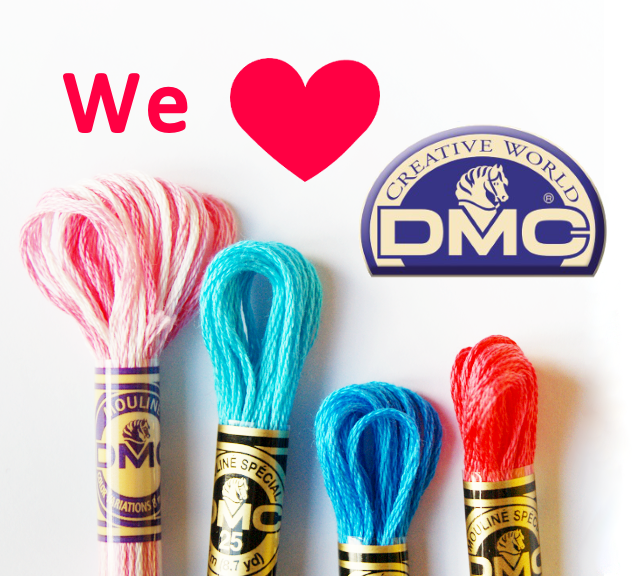 Where is your stitchy inspiration leading you? 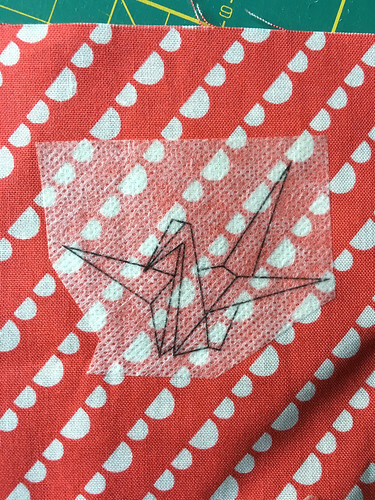 Please share in the &Stitches Flickr group. We'd love to see it!